Laminate flooring adds sophisticated style—amazingly realistic hardwood and stone looks—to your home for less. Laminate flooring is easy to install and easy to maintain, making it a great choice for the way you live—and for your budget. And it’s an environmentally friendly flooring option, often being made with recycled materials and requiring no harvesting of rare trees. Now, you can have styles that are as environmentally responsible as they are beautiful. Fresh style. 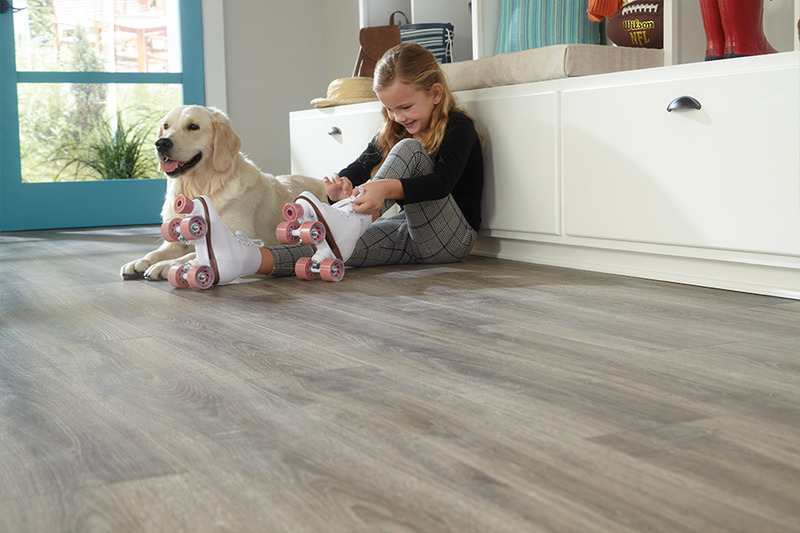 We carry laminate styles that embrace the latest trends. 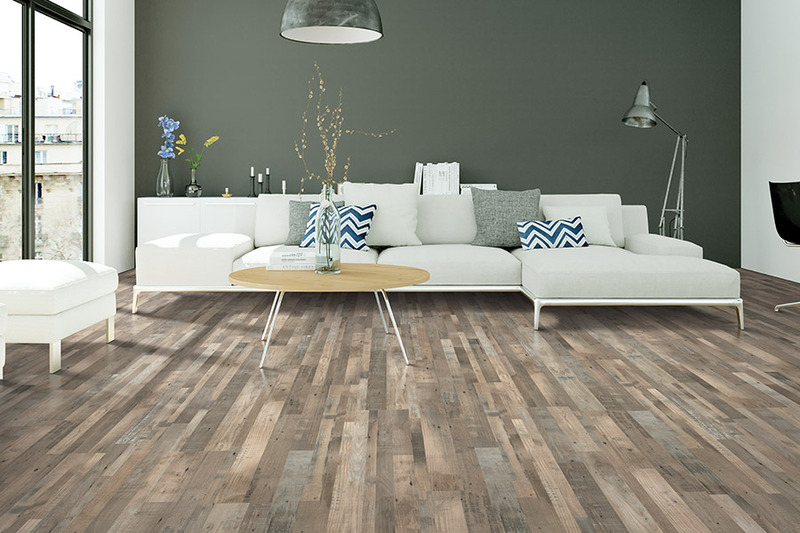 Add a light wood-look laminate in shades of white and gray to lighten up any space with an open, airy feel. Or try a natural stone look to create buzz-worthy flooring. Serious durability. You can put the visual you love in even the trickiest areas—foyers, hallways, high-traffic areas and in-between spaces. Direct pressure laminate surfaces are virtually immune to spills, scuffs, stains and fading. Laminate flooring can be installed over dry concrete, wooden subfloors and many floor types. Its low clearance space height helps in older homes with floor thickness issues. Laminate floors are exceptionally durable and provide worry-free assurance that the floor you love won’t lose its looks. Easy maintenance. As we mentioned, laminate flooring options realistically emulate the look and feel of hardwood at a lower price point. Did we add that your laminate floors will clean in a snap? That’s right, maintenance is quick and easy. Just clean with a vacuum, a damp cloth and the manufacturer’s recommended cleaner. There are many laminate patterns and designs available and we invite you to browse our catalog HERE or visit Town & Country Carpet and Floor Covering to view them in person.